Mohammad Izhar ul Haq is one of those prominent poets of 1970s who revisited the tradition and blended it with Islamic and historical metaphors in order to define their own individuality. Born in 1948, the senior civil servant published his pathbreaking first collection of poetry 'Diwaar-e-Aab' in 1982, followed by 'Ghadar' (1986) 'Parizaad' (1994) and 'Pani Pay Bicha Takht' (2003). An established poet with a unique diction and ideological stance, he has been writing weekly columns in an Urdu daily since 1992. He remains a witty commentator on socio-political and literary issues. Excerpts of an interview with him follow. The News on Sunday: You are among the prominent poets of 1970s who refused to conform and attempted to devise a new poetic paradigm. Do you think, in poetic pursuits, deliberation really works? A 19th century Swiss linguist, Saussure's influence not only shaped his own discipline but also humanities and social sciences. Born in Geneva on Nov 26, 1857, Saussure studied a variety of languages at an early age. Although his family was known for its scientific accomplishments, he gave up scientific education at the University of Geneva and went to study languages at the University of Leipzig in 1875. After I finished my schooling in London, I went back to Lahore to see my father who had suffered a stroke. He was in a hospital. I remember one hot afternoon standing at a bus stop, outside the Regal Cinema, waiting for my bus. The queue, or rather the crowd -- in those days there never was a queue in our part of the world -- got bigger. An elderly man tapped me on the shoulder. He knew my father. "What are you doing these days?" He asked me. I told him that I had just come from London, having finished my stint at RADA, and that I was all set to go into the theatre. "Yes Yes good. London is good. you were in London? And what are going to do now?" We do not take the route adopted by convoy". As for the second part of your question whether new paradigms in poetry emerge with planning, the answer is no, probably not. I believe that poetic creativity cannot be planned. It is the inner self which finds its outlet in the form of poetry. There are no blueprints in poetry, no wires that can be pulled. And those who try to plan it end up with something which cannot be termed poetry in the real sense. Poetic pursuits find their own expression. There were three things that pushed me into the unseen lands of poetry. First, the poetic sense that nature had placed in my chemistry. I agree with those who believe that poetry and oratory cannot be learnt. You will not find any school in the entire human history where non-poets were turned into poets. Second, the milieu in which I was brought up: I was fortunate to have been born in a family of scholars and writers. My grandfather and his sons would, very often, communicate with each other in Persian. My father has authored several books in poetry some of which are in Persian. My education started with Persian and Persian poetry. Third, poetry became a way of life for me. I relished it, nurtured it and lived in it. TNS: You belong to the post-partition generation. How do you define your point of departure from the pre-existing literary scenario? MIH: According to me, the poetry which lamented the tragedies of partition proved a point of departure. I vividly remember an anthology of poems written about partition which an elder cousin of mine used to read and recite when I was a child. The pre-existing or pre-partition poets, whatever you term, were unable to look at things in absolute sense. The colonial era was deeply embedded in their subconsciousness. When Faiz said, 'Yeh daagh daagh ujaala Yeh Shab-guzeedah Sahar', he was unconsciously confessing his inability to look at the new dawn with an un-jaundiced eye. As a doctor, you would know that Schizophrenia is characterised by a loss of contact with the environment and by hallucination which gives the patient a feeling that he is accompanied by another human being. Pre-partition poets were unable to shed the burden of colonialism. On the contrary, we the post-partition generation of poets, looked at our environment with no preconceived notions. We had a better sense of belonging to the freed motherland. We had more confidence. We were not timid. TNS: Do you think the work done by the group to which you belong has had a following among the new ranks of literati and how? MIH: Yes. This is an undisputed fact that this group that brought its own style and diction in 1970s has been massively followed. A whole lot of poets imitated this group -- especially myself, Sarwat Hussain and to some extent Jamaal Ihsani. The vocabulary we coined and introduced was adopted by many and some of them followed so crudely that they became ludicrous and I had to suggest. I was the first poet to have brought Cordoba, Granada, Samarkand and Bukhara in ghazal (not in nazm). Many followed including those who had never visited these places nor had enough knowledge of history and its relationship with the culture of subcontinent. But, on the whole, our impact on the generation who came after us has been positive as well as visible. It does impart a sense of achievement. TNS: Your poetry derives inspiration from Islamic civilization and its metaphors. Has this aspect expanded or limitised the relevance and scope of your work? MIH: Poetic career is a voyage. It is not something static. Islamic history and civilization gave a lot to my works. The inspiration and influence was innovative as well as productive to a remarkable extent. The fact that I was brought up in an atmosphere steeped in Persian and Arabic literature and Islamic jurisprudence and later on my odysseys to Spain, Central Asia, Middle East, Turkey and North Africa contributed to this phase of my poetry. But that was not all. There were other catalysts as well. I studied economics, came in contact with the system through civil service, had the privilege of having lived in both the halves of Pakistan - rural as well as urban. My latest collection ('Paani Pah Bicha Takht 2003) contains much that stems directly from my own land, people and their problems. This diversity has been hinted at in a couplet. TNS: Asatiri ghazal is the term sporadically used to refer to the poetry of this kind and sensibility. Your comments. TNS: You lately took to prose poem writing. What is the essential difference between the two and what are the future prospects of prose poem? MIH: A very important question indeed. It's true my first book 'Diwaar-e-aab' comprised only ghazals but I did resort to prose poem as a tool of poetry soon after. The second anthology 'Ghadar' contained prose poems. And so did two books that followed. The most important aspect to be seen in this context is whether the poet has undergone the tough test of composing poetry with the discipline and bounds of meter and rhyme. If elsewhere he has done it and is recognised for having done so, his prose poems must be taken seriously and have to be reckoned with. This method of judgement serves as a scanner to filter out those who take shelter in the sanctuary of prose poem to camouflage their unskillfulness. They are, essentially ungifted. To appreciate the significance of prose poem, it may be helpful to look at the kit of a golfer. You use different clubs for different purposes and you keep on changing them according to requirement. My experience is that in the height of pleasure and hypochondria, prose poem is the most apt outlet. The controversy whether prose poem is poetry or otherwise is sheer wastage of time and loss of creative resources. Not long ago blank-verse also encountered similar resistance. In fact prose-poem is a powerful tool and what ghazal, poem and blank-verse cannot deliver, prose-poem communicates effectively while retaining all the essential and integral elements of poetry barring meter and rhyme. Its future prospects are bright. In fact it is already thriving. TNS: Do you think literature holds an undiluted relevance today? And how do you look at the current literary situation? MIH: It was during the 1980s when the 'one child only' restriction was imposed on Chinese families. By the beginning of the current century these single children were grown up without seeing any cousin, uncle or aunt. The Chinese writers, especially novelists, were at a loss as to how to bring these characters in novels when nobody could comprehend these relationships. This is just one example to stress that literature can never turn irrelevant even in the most materialistic societies. The age of super-tech computer does not mean that people will not laugh or weep or be without emotions. All this will continue to create literature and demand literature. As far as current literary scenario is concerned, I am optimistic. Poetry is flourishing. Literary periodicals of high quality are there. Epoch making novels like 'Kaee Chaand Thay sar-e-aasman' are being written in our era. Negative forces are also there. Those who are handling literature on electronic media are ignorant of who is who of literature and are contributing only towards nepotism. Substandard 'literary' sections of newspapers continue to promote -- if I am allowed to use the word -- yellow literature. The curse of so called Mazaahya (humorous) musha'iras is deteriorating the aesthetic level of viewers and listeners. In spite of all this the wheel has not stopped. Creative writings of high standard continue to appear. TNS: Why have we failed to witness the emergence of a new significant critic? Your views on contemporary criticism? Jab na ho kuch bhi to Haali nukta cheeni keejyay. TNS: Do you think you were successful in striking a balance between your career as a poet and a civil servant? MIH: I cannot pass a judgement on myself. I endeavoured not to mix the two. I never introduced myself as a poet or as a student of literature in the corridors of civil service. I believe that literature is not everybody's cup of tea. Many do not deserve it. Some do not appreciate. Poetry should be recited and literature should be discussed only in the company of persons of letters. At the age of 21 he wrote his first book on lndo-European philology called 'Memoire sur le systeme primitif des voyelles dans les langues indo-europeenes' (Memoir on the Primitive System of Vowels in Indo-European Languages), which earlier set the tone of his later thoughts on languages leading to his theory of arbitrary nature of sign. However, this book was not his claim to fame. Furthermore, he did not publish much work in his lifetime. Especially after he received his doctorate in 1880, his published output dwindled. The cause for this was no less than his complete dissatisfaction with the discipline of linguistics, the way it was organised at that time. His prominence as a linguist owes to 'Course in General Linguistics' that his students compiled from his lecture notes at the University of Geneva and published posthumously in 1916, three years after his death. This work emphasised on Saussure's belief that the study of languages needs to be established on firmer footing. This work, however, remained unknown in academic circles until 1960s. Almost fifty years after Saussure's death, it was Benveniste who digged out the concept of arbitrariness of language from the Course, which says that there is no inherent connection between words and the objects. For example, for a four-legged animal we have formerly used a word 'swine', which has been replaced largely by 'pig' in modern English. The connection between the two, consequently, is purely of agreement in an English speaking society. No one person can do away with this tacit agreement. Before Saussure, however, the prevalent thrust in linguistics was historical. Language was thought to be rational, expressive of exact thought of a speaker. Languages were studied historically to explain their current state in the nineteenth century. Sanskrit, for example, was thought to be the oldest of the languages that could serve as a link between modern languages. The relationship between a name and an object, according to historical linguistics, could be understood by going back in time: that there is in history an explanation of why a particular name got associated with an object. A gifted linguist, Saussure challenged this concept. He shifted stress from historical linguistics to consideration of the present configuration of a language. For Saussure study of history of language has its other uses, not the least of which is to find reason and rationale for particular associations between a name and an object. Accordingly, language is a structure where all elements have value only inside that structure. Out of it, individual elements are meaningless. He explained this shift of emphasis by giving example of chess game. For a new comer to understand the game only thing important is the current position and not how things got there. It is the present not the past that is important. Individual elements have no value except for their position inside a structure. This emphasis on the current state of a language has been called synchronic perspective as opposed to Diachronic perspective, which gave precedence to diachronic approach. While the historical approach believed in a link between name and the object it refers to, no matter how back in history one has to go in order to find that link, the synchronic approach showed the arbitrariness of language. Saussure considered language as a system of signs where the relationship between the name and the object (signifier and a signified) is arbitrary. It may not be noticeable at once, but the concept is revolutionary as it does not recognise an intrinsic link between word and thing. The influence of this remarkable theory spread to other disciplines. It did not just lay the foundation of 20th century linguistics; it influenced developments in other fields as well. The study of literature underwent a remarkable change due to this new discovery. As the linguistic philosophy matured so did the methods to understand and interpret literature. The arbitrariness of language showed that languages operate independent of reality and that individuals are formed by language just as they form languages. A docile concept in appearance, it rocked the foundations of social sciences and humanities, giving rise to the structuralist movement in literature. 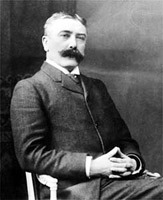 Widely acclaimed as a father of linguistics, Saussure died on February 22, 1913. I belong to an age when you had to be auditioned before you were cast in a play. I was not lucky like Pia Zadora. In case you have forgotten, Pia Zadora was the American ingenue shot to fame briefly because her enormously rich husband used to 'buy' parts for her. He once bought her the title role in the Off-Broadway production of 'The Diary of Anne Frank', (a play about a Jewish family on the run from the Nazis during the second World War). Miss Zadora was so bad that when, in the last scene, a Nazi soldier along with his collaborators, arrives and demands to know the whereabouts of Anne, the entire audience yells, "She is in the attic." Oh those dreaded auditions! For young actors like myself, fresh from a drama school, the custom was to queue up at the stage door in order to be summoned by a sullen looking stage manager, a cigarette dangling from his lips, who called out your name to an invisible group of strangers, sitting on the other side of the footlights. You bravely set forward and delivered your prepared piece which, those in the front, had probably heard seventy three times before. Your mouth was dry, your diaphragm was tight and your stomach played a funny musical note as you realised with an impending sense of doom that your entire future depended on the next three minutes. You did your piece. There would be a ghastly pause, a few muffled sounds and, eventually, a mechanical voice saying, "Thank you. We'll let you know." Don't call us we'll call you, is the death knell for an actor. There are many grim tales about actors who were asked to come back for a second or even a third audition and still remained unlucky. Harold Lang, one of the finest raconteurs that I have ever come across, used to tell the story of an American actress who after months of auditioning unsuccessfully, was finally offered a job. She was so shocked that she was dumbfounded. At last she muttered, "I don't think I can accept -- I only do auditions." In my drama school there were many upper middle class students who considered the notion of earned money, cash for work, to be vulgar. Films were the pits. They pitied those who wanted to do films. To want to be affluent was coarse. Money somehow floated down from Daddy, or was waiting in a will at the end of an estate. Films were considered as little more than perks. You were paid the money; you joked about it; and you affected to look down upon it. Even those who were not upper middle class felt that films did not count. Now I, living from hand to mouth, and not having the slightest hope of ever acquiring a penny from a rich uncle (I didn't have any) should not have been so toffee-nosed about films, but I was. And when an actual chance of a break in films came my way, I said, "No thank you" rather smugly. At that time I had been offered an engagement with the Royal Shakespeare company at Stratford. I wonder now what I would have said if I had been jobless. England, as we all know, has had a long and unbroken chain of great Shakespearean actors and actor managers. In the last century alone, there were Irving, Tree and Benson to name just three. Benson, Sir Frank Benson, was perhaps the first impresario to have produced thirty five of Shakespeare's plays, giving numerous performers to children as well as adults. He was also passionately fond of cricket and when an Australian actor (Oscar Asche, who became famous later as the author of 'Chu Chin Chow') arrived in London he only secured a job with Benson after giving solemn assurances that he was a first class wicket-keeper. Benson immortalised himself when he put in an advertisement in the 'Stage', the trade weekly, which read: "WANTED LEG BREAK BOWLER AND OPENING BAT, ABLE TO PLAY LAERTES." Benson also had the unique distinction of having been knighted in a theatre. No one had a sword at the investiture and one had to be borrowed from a theatrical costumier, next door. This happened in the Royal Box at the Drury Lane Theatre in 1916. An actor needs training, of course, but his learning process begins in earnest only after the training. There are as many methods of working as there are actors; Stanislavsky's Method is not the only one. It is, of course, an extremely worthwhile pragmatic system -- and it's all based on common sense -- but it need not be considered the Holy Book. My friend, Robert Stephens, a stalwart of the National Theatre who gave us an intensely moving Lear before he died, used to say, "I have no great views about acting except this: number one, if you are going to act, be serious about it; and number two, for God's sake speak properly."